My wife and I live in a quiet peaceful suburban street. Each year in early December we view with interest the rather intense activity of neighbours a few doors down from us. A gentleman and his dear lady decorate the front of their home and their front garden with Christmas lights. When the lights go on, it is truly an amazing sight. When walking the dog in the evening we pause as we pass this house and we have to admit it is a delightful spectacle of coloured lights depicting the Christmas season. We have our radio tuned to a local station which airs our kind of music (we are senior citizens) and, as we approach Christmas day, the music played includes many popular Christmas songs and carols and their melodies are very catching and it is easy to find yourself singing along with them. Also, we cannot escape the fact that Christmas means lucrative business for the supermarkets and stores. The advertising to capture our dollars and deplete our bank accounts is intense at this time of the year. 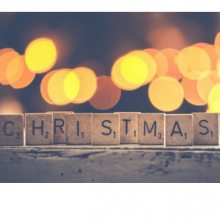 The commercial world uses the Christmas season to improve the bottom line of their profits. And the Christian churches in general voice their concern that the religious message of Christmas is lost in the plethora of advertising discounted items for sale, and the focus on using this popular season of the year to bring more money into the coffers. At this time of year when the Christmas season is on a roll, my wife and I are simply so glad that some fifty years ago we made the decision not to observe Christmas. We were raised in Christian families and Christmas had been a part of our religious celebration but we had taken for granted that Christ was born on Christmas day (25th December) and we were honouring God by observing this special event. It came as a shock to us that, when the origin of Christmas was brought to our attention and we carefully researched the subject, we learnt that our Lord was never in Christmas. He was not born on 25th December and, in addition, there was no biblical instruction to celebrate His birthday. Surely, if God had wanted us to celebrate His Son’s birthday, He would have included instructions in His Word and also made it very clear on which day it was to be celebrated. What we found was this end of year celebration predates our Lord and His coming into the world as a baby human being. 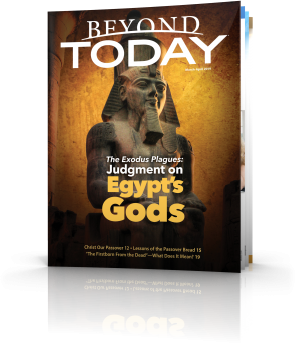 By consulting various Encyclopaedias we read that Christmas can be traced to paganism in ancient Egypt, Babylon and Rome. Alexander Hislop in his book The Two Babylons wrote: “It is admitted by the most learned and candid writers of all parties that the day of our Lord’s birth cannot be determined, and that within the Christian Church no such festival as Christmas was ever heard of till the third century, and that not till the fourth century was far advanced did it gain much observance” (1959, pp. 92-93). As for how 25th Dec. became the date for Christmas day, virtually any book on the history of Christmas will explain that this day was celebrated in the Roman Empire as the birthday of the sun god. This ancient festival went by different names in various cultures. In Rome it was called the Saturnalia, in honor of Saturn, the Roman god of agriculture. The observance was adopted by early Roman church leaders and given the name of Christ (“Christ mass,” or Christmas) to conciliate the unconverted masses and swell the number of the nominal adherents of Christianity. Christ said nothing about celebrating His birthday but, rather, He did instruct us to observe the memorial of His death. The apostle Paul wrote: “For I received from the Lord that which I also delivered to you: that the Lord Jesus on the same night in which He was betrayed took bread; and when He had given thanks, He broke it and said, "Take, eat; this is My body which is broken for you; do this in remembrance of Me." In the same manner He also took the cup after supper, saying, "This cup is the new covenant in My blood. This do, as often as you drink it, in remembrance of Me" (I Cor. 11:23-25) (emphasis added). We are to celebrate the Lord’s Passover in memory of, or in remembrance of, the death of our Saviour and consider the awesome price He paid for our sins and, indeed, the sins of all mankind. 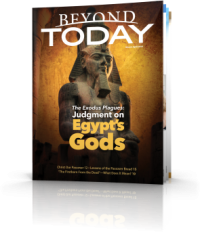 For these reasons, my wife and I chose not to observe Christmas those many decades ago and we have faithfully kept the Lord’s Passover each year since we were convicted of these truths. Having said that, we do need to be careful not to alienate members of our family, friends and neighbours, and who do not hold similar convictions as ours. We should not be ashamed of our belief but it is never appropriate to cram our religion down their throat, shun them, or isolate ourselves from them because they are not yet convinced as we are about this festival. Remember it is the Christmas celebrations that we have rejected, not family and friends. Christmas day is also a public holiday and getting together with family and friends for non-religious reasons can be a happy enjoyable time. And we need to take advantage of other times of the year to connect with family and friends and let them see that we continue to care for them, love and cherish them. 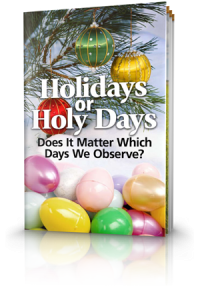 If you would like to know more about the origin of Christmas and the festivals that God ordained in His Word, please don’t hesitate to read our free publications: Holidays or Holy Days: Does It Matter Which Days We Keep? 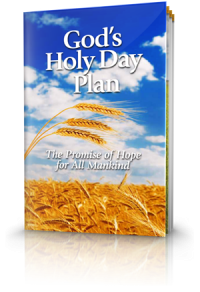 and God’s Holy Day Plan: The Promise of Hope for all Mankind. 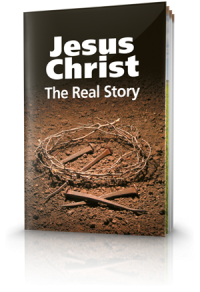 And for more outstanding facts about the life and work of our Saviour please read: Jesus Christ: The Real Story.